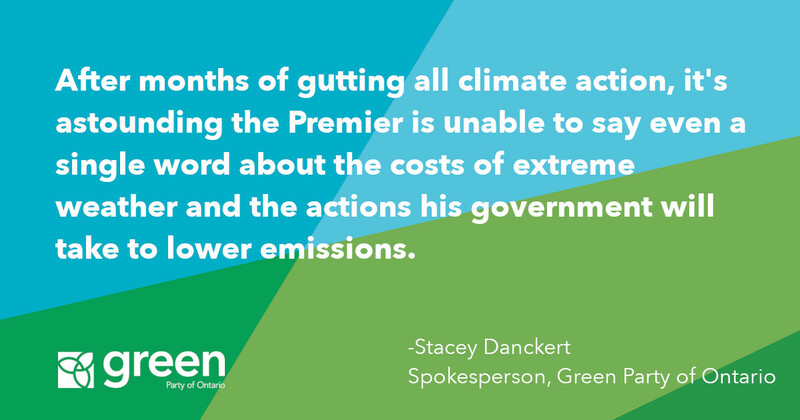 The Environmental Commissioner of Ontario's report proves that the government cannot be trusted with defending the people and places we love in Ontario. The ECO Report is highly critical of the Liberal government’s failure to address health and environmental concerns in indigenous communities. The Liberal government cannot be trusted with defending the people and places we love in Ontario. 1. Air pollution in Chemical Valley and mercury poisoning in Grassy Narrows are just two examples of government inaction that threatens the health and well-being of Indigenous people and communities. This is environmental racism. It is simply wrong and has to change. Everyone in Ontario should have the right to a clean and healthy environment. The government must strengthen air pollution standards and water protections. 2. Between pressures of development and climate change, we are losing species at an alarming rate. The Ministry of Natural Resources and Forestry did not say no to any of the 3,000 requests to harm species or habitat according to the ECO. It’s true that endangered species can’t hire lobbyists or write big campaign cheques the same way as developers do, but biodiversity plays a critical role in our prosperity as a province. The government is letting people and species down. The Liberals must reverse their decision to gut the Endangered Species Act and eliminate the loopholes that allow industry insiders to kill endangered species. 3. The Liberal government is failing to properly protect our water. The algae blooms on Lake Erie are a direct threat to drinking water and the industries that depend on the Great Lakes. Promised action to fix the problem is lacking – we are still waiting for stronger food and water protections in the Aggregate Resources Act and incentive programs to reward farmers for good stewardship of our land and water. 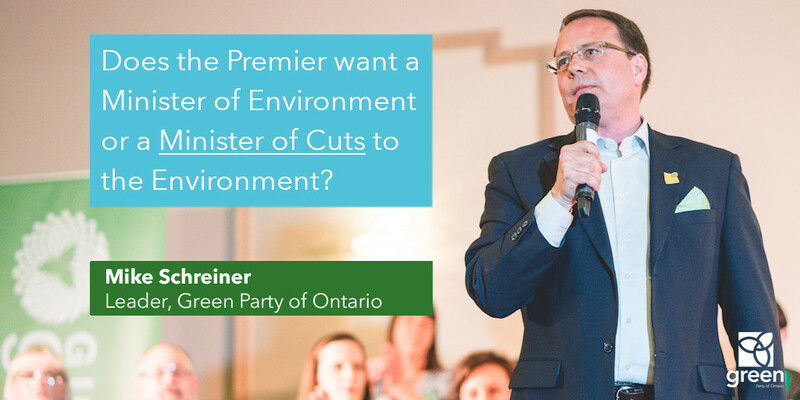 It is time for politicians at Queen’s Park to put people first by turning lip service into real solutions that protect our shared environment. 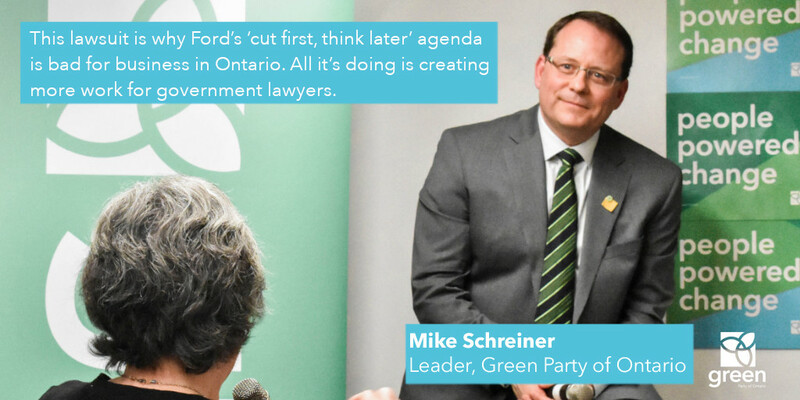 The Green Party will continue to defend the people and places we love in Ontario. We are on a mission to bring honesty, integrity, and policies that put people first at Queen’s Park.